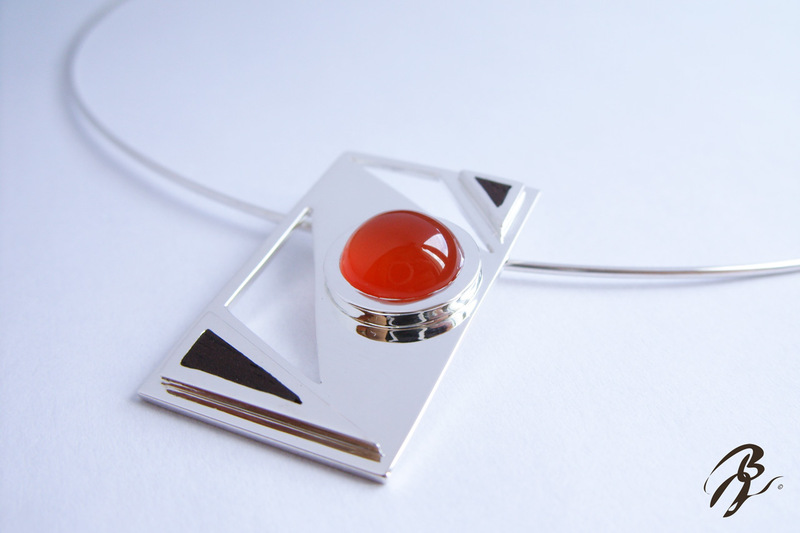 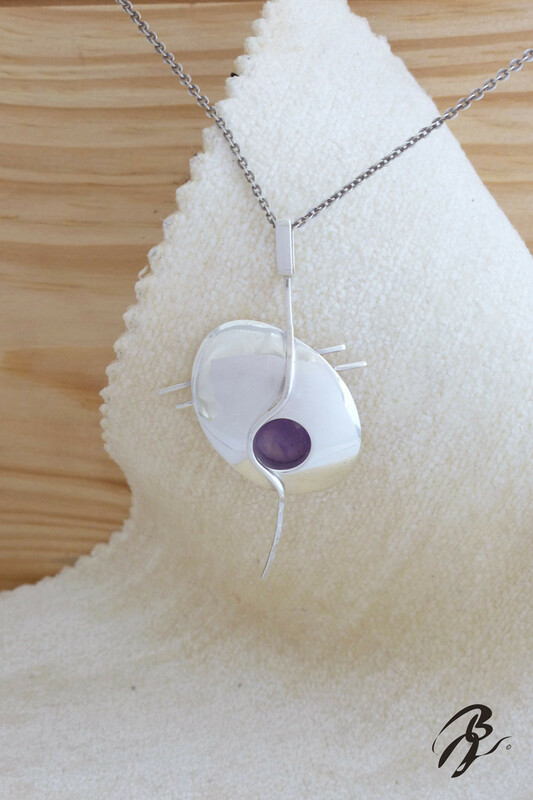 Pendant in Sterling Silver set with one tinted Agate. 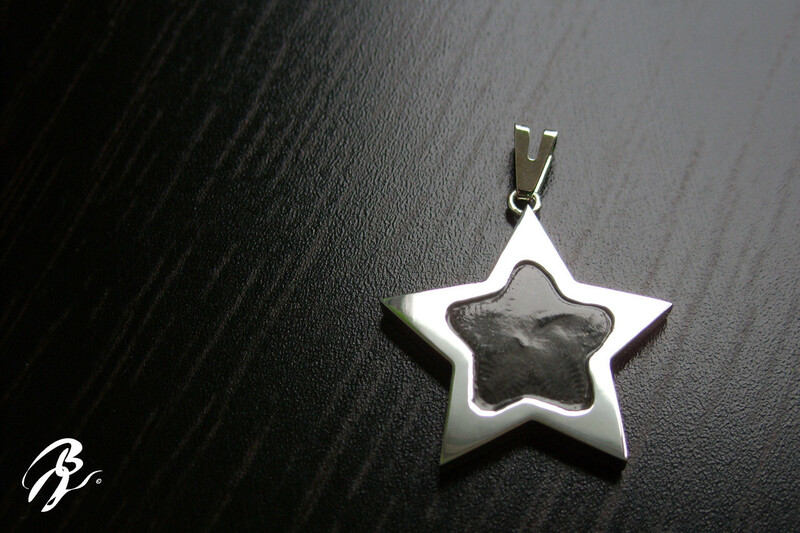 Pendant in Sterling Silver with engraving. 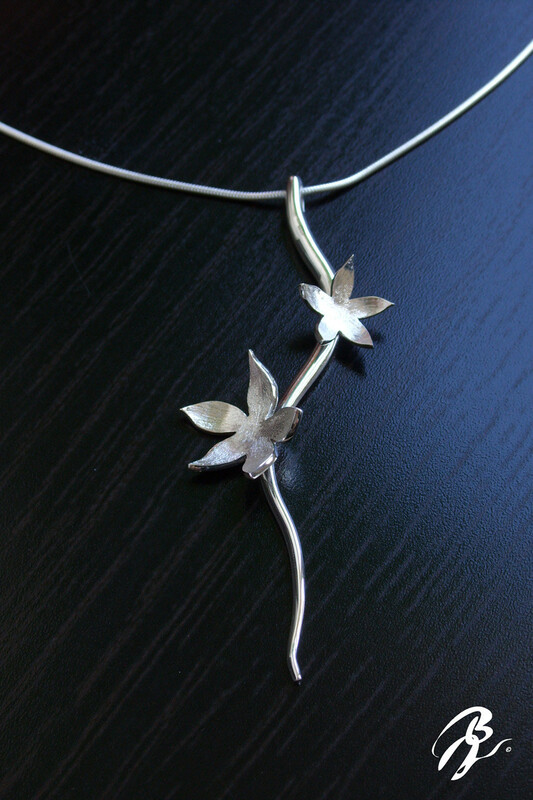 Pendant, necklace in Sterling Silver. 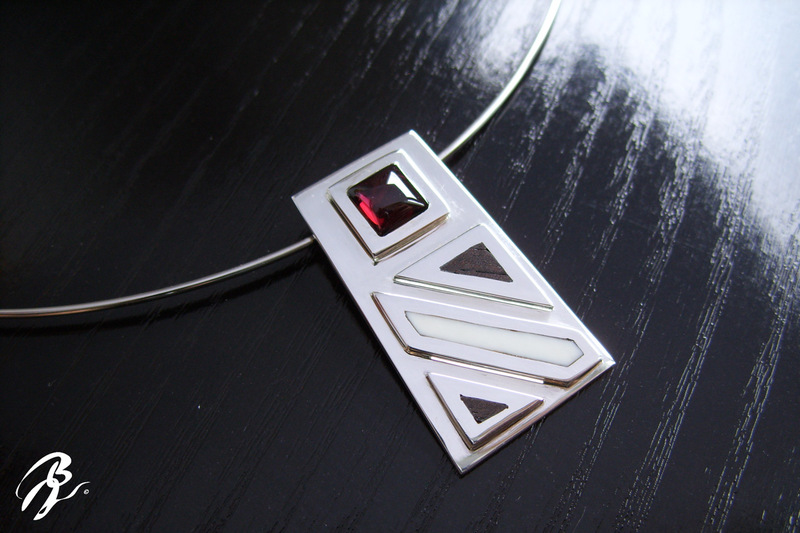 Pendant in Sterling Silver with Ivory* and Ebony, set with a Garnet Red Pyrope. 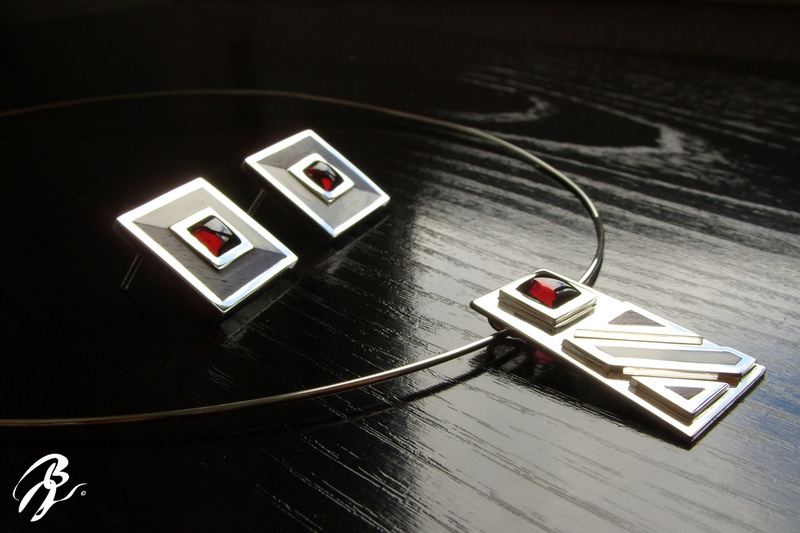 "Earrings too take a look at Earrings". 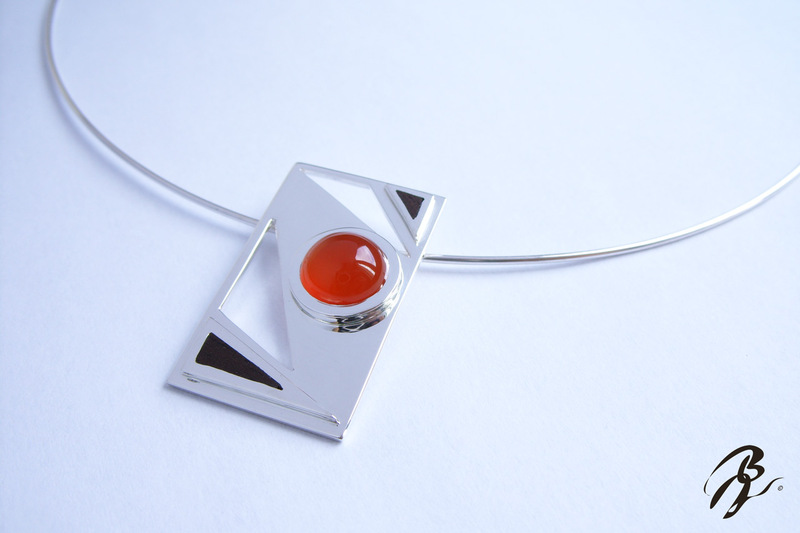 Pendant, necklace in Silver sterling 925. 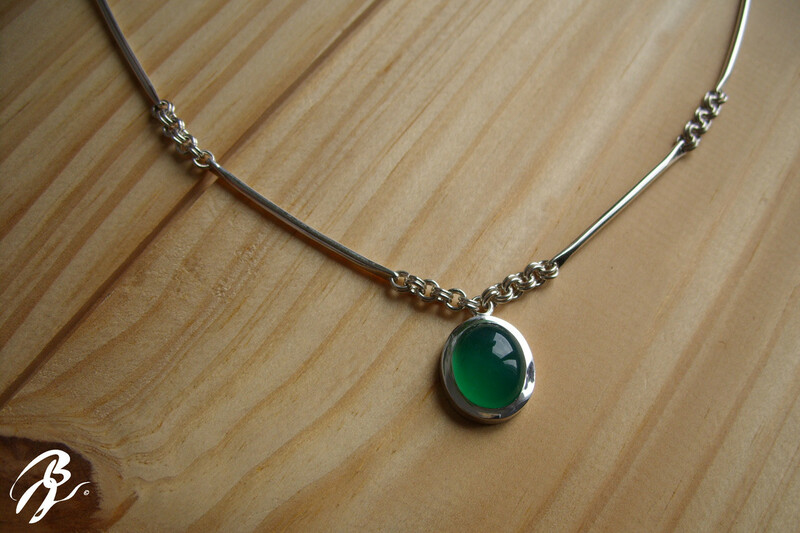 Set with Agate. 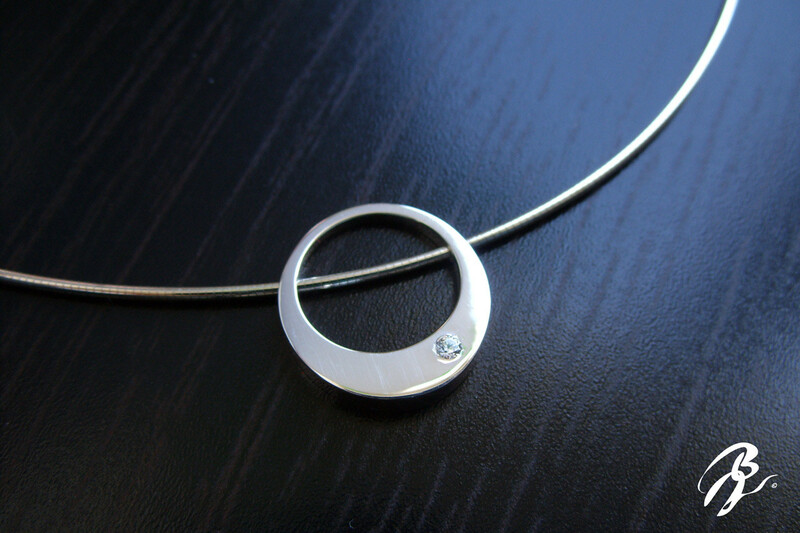 Pendant in Sterling Silver 925. 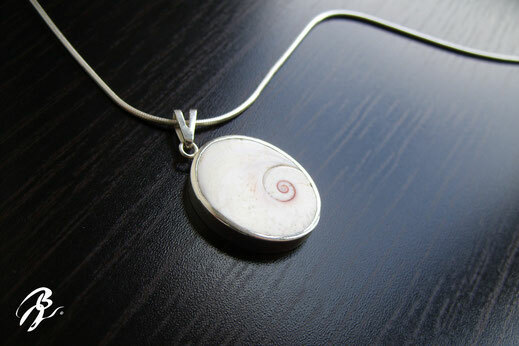 Set with "Œil de Sainte Lucie" ( operculum, meaning little lid; we can find it en the see coast of the south of France and Catalonia coast. 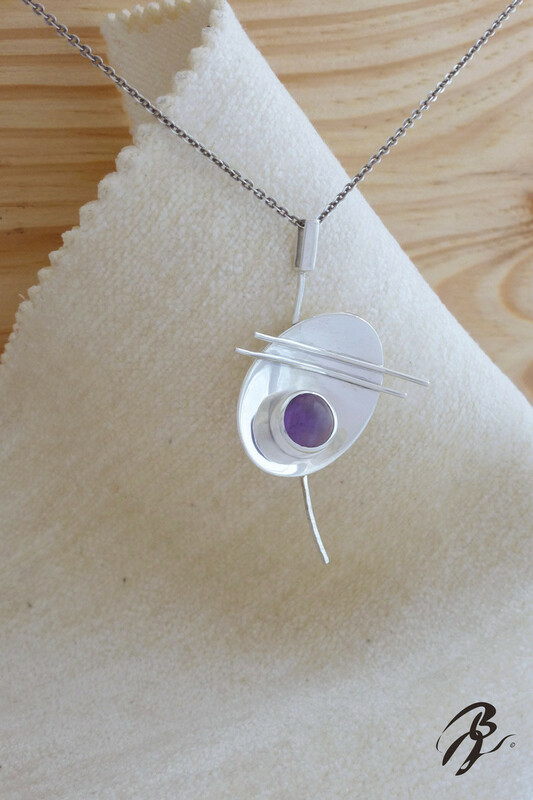 Pendant in silver sterling and necklace (45cm/ 17,7 Inch) in silver sterling. 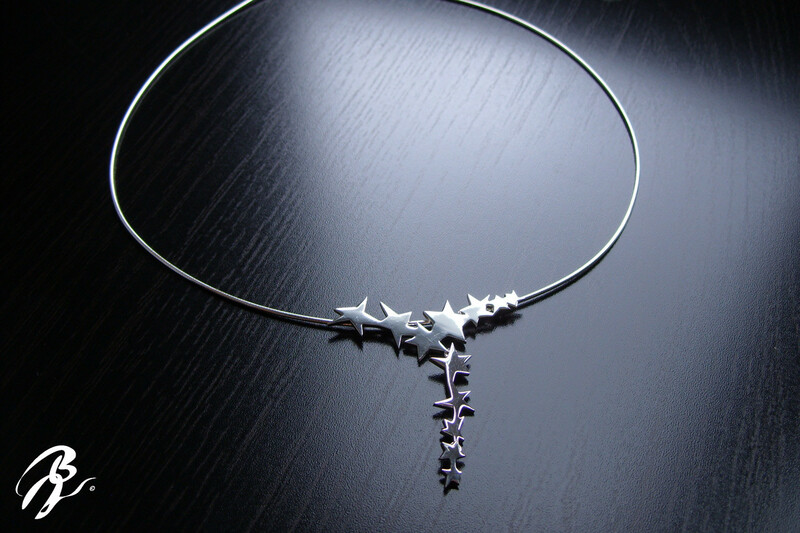 The Necklace is make by my hands link after link. 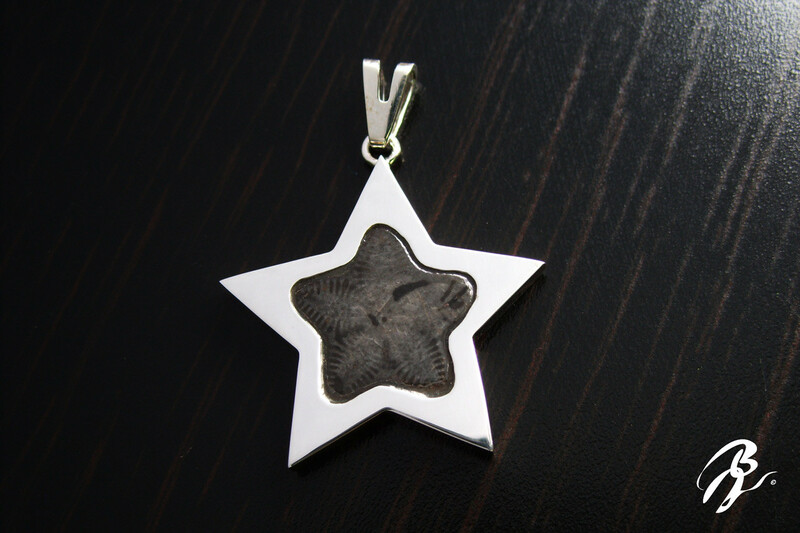 Pendant in silver sterling with star fossil (The star of Saint-Vincent are fossil of (Crinoïdes). This Creations are inspired on the jewels of a french jeweler Antoine Colomb 1855 of "Digne les Bains" a little village in a South of France. 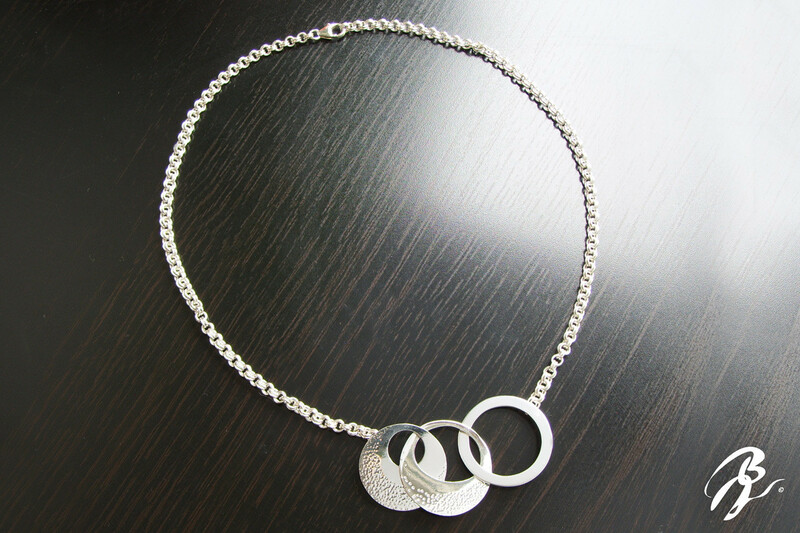 Pendant, necklace in silver sterling (42cm/1mm - 16,5/0,039 Inch). 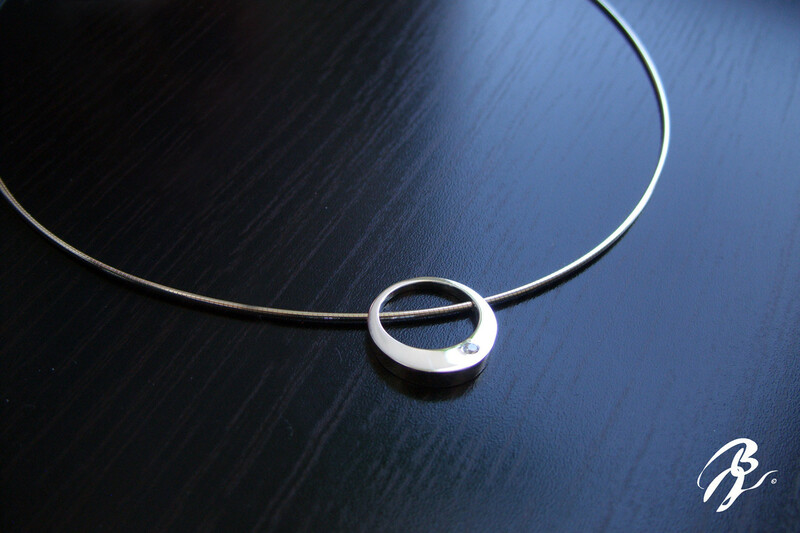 Set with one Zirconium Swarovski. 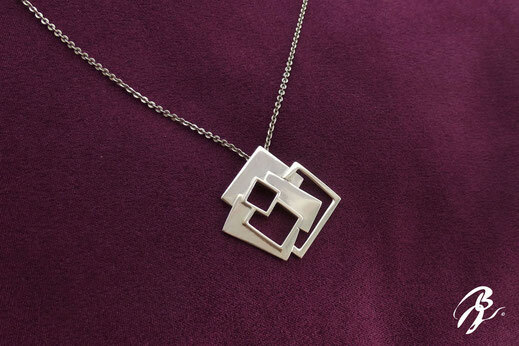 Pendant in silver sterling. 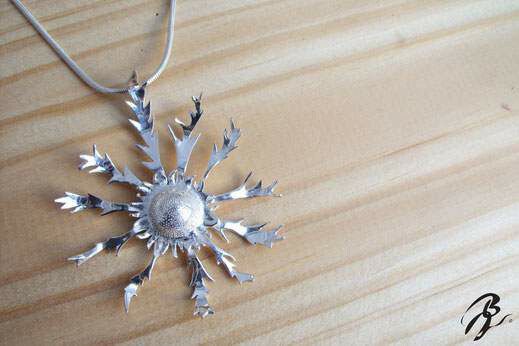 L'Eguzkilore is a Thistle o exactly a Milk Thistle. 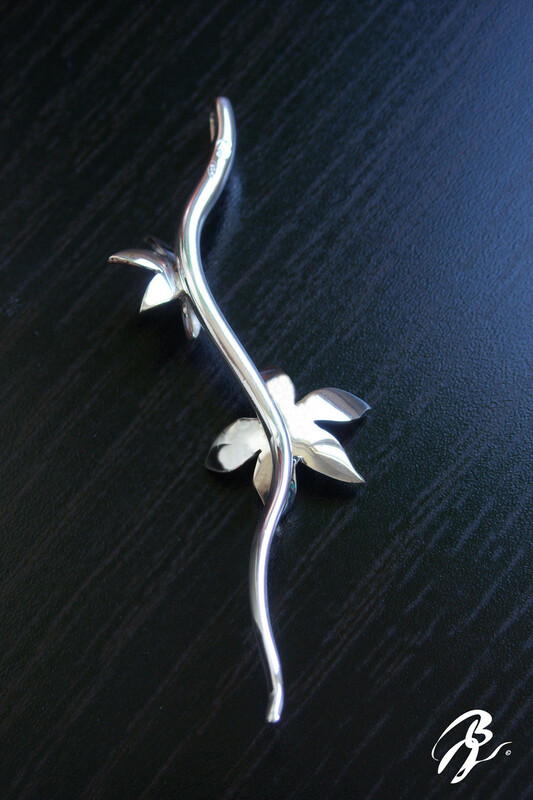 Is traditional to put it on the door of the home for do it like a barometer. 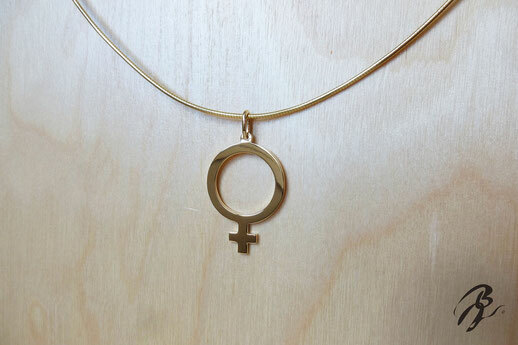 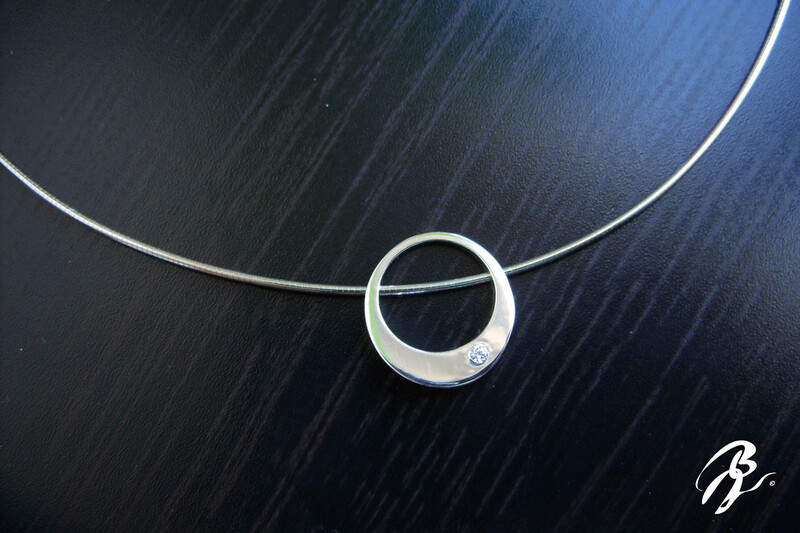 Pendant in Gold 18 karats. 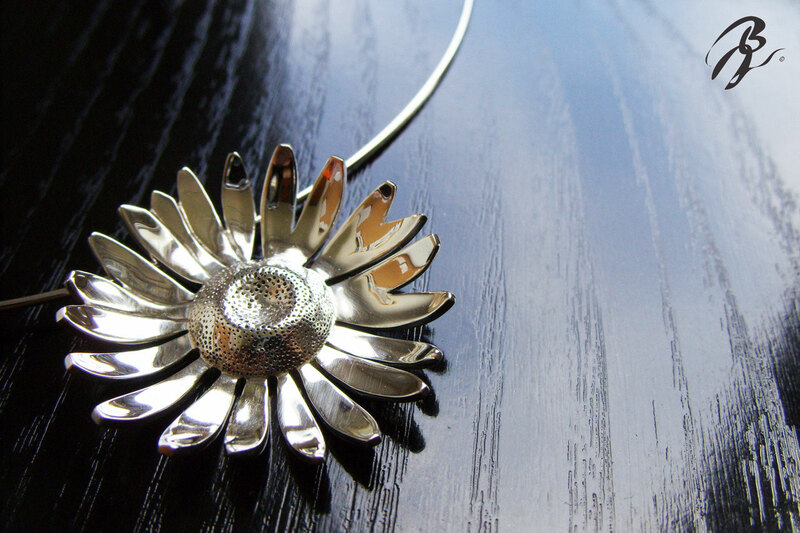 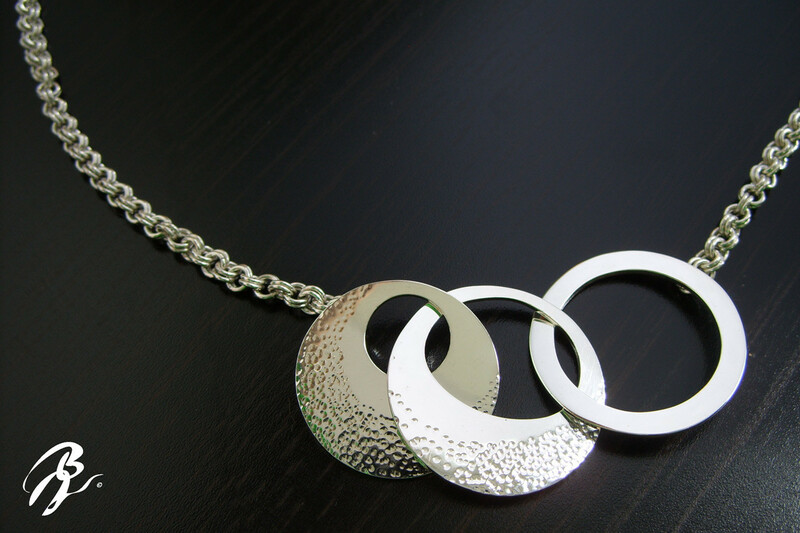 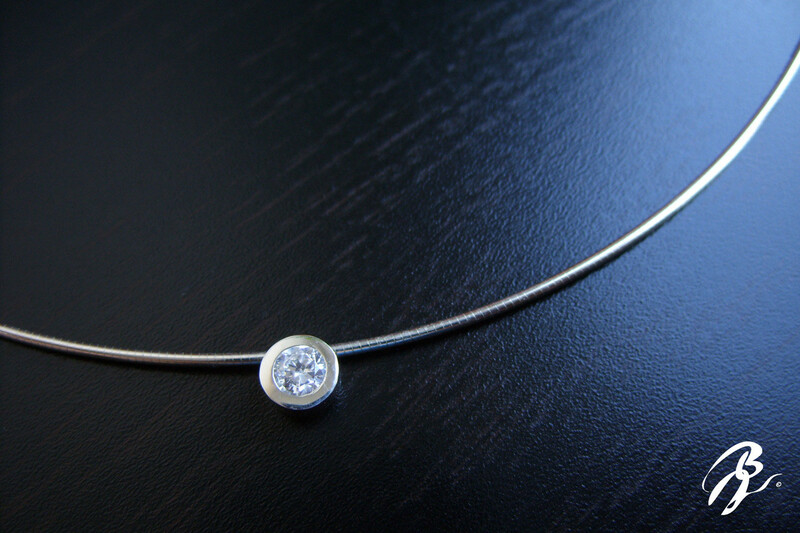 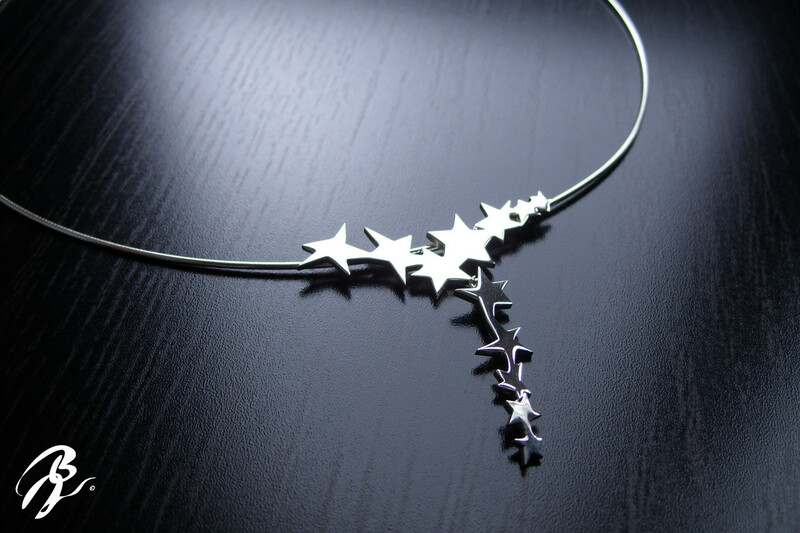 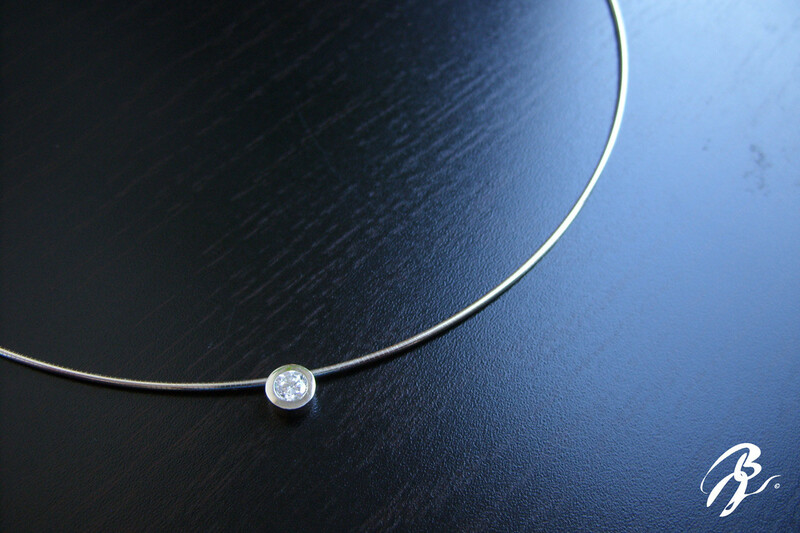 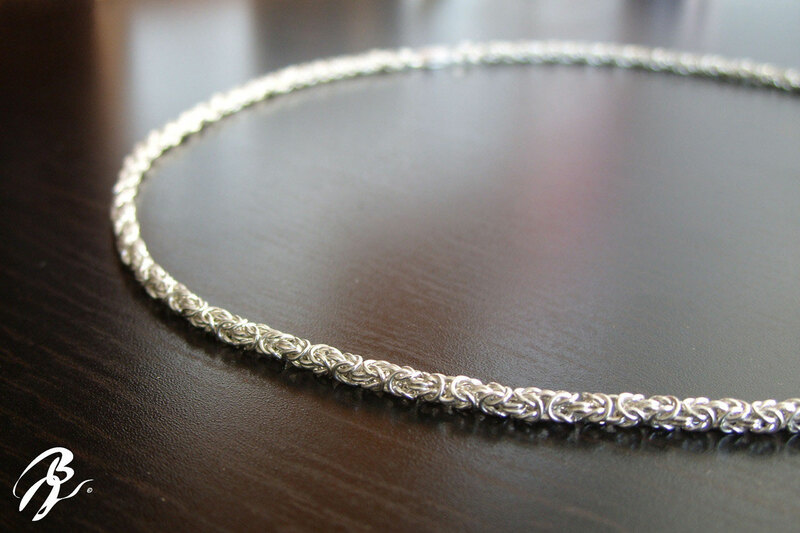 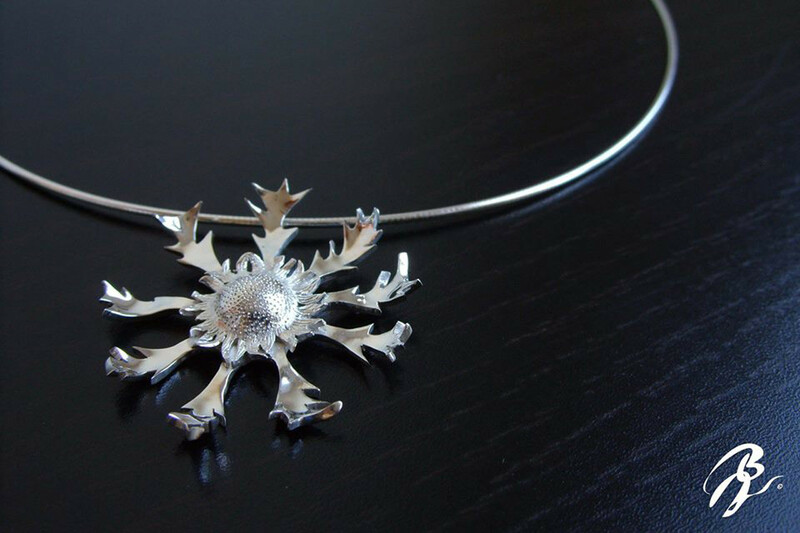 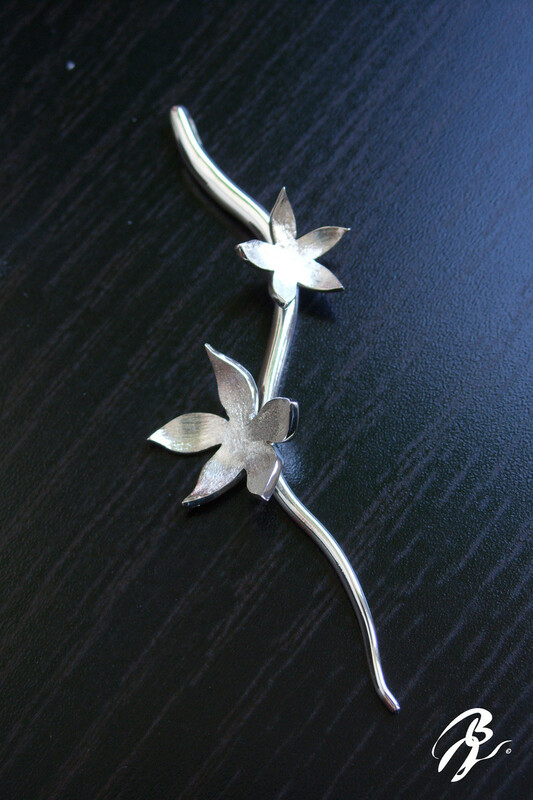 Necklace (45cm/ 17,7 Ib) in silver sterling. 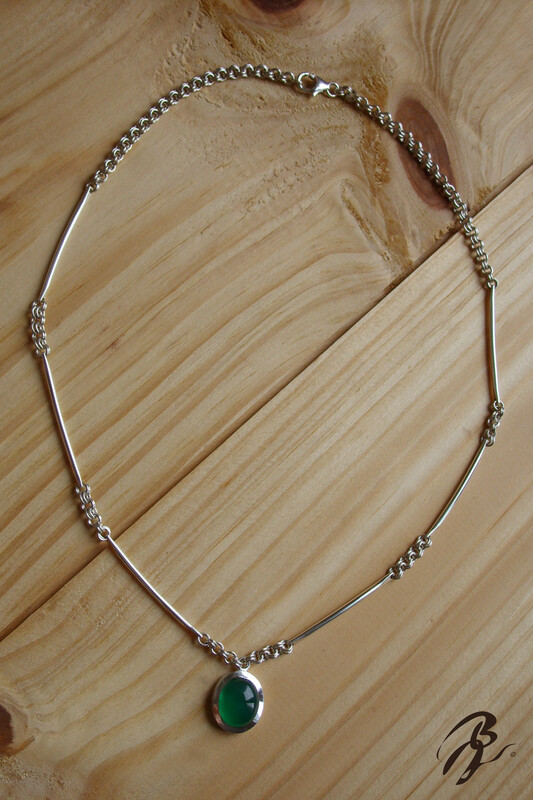 The Necklace is make by my hands link after link. 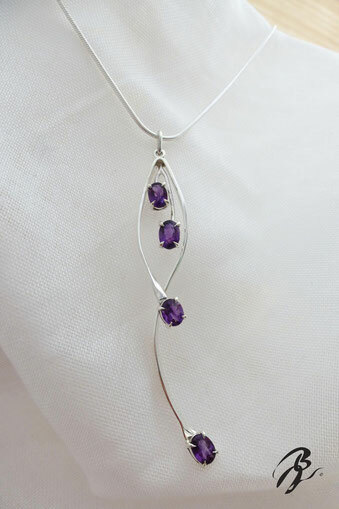 Pendant in silver sterling set with a cabochon of Amethyst. Pendant in silver sterling set with four Amethysts. 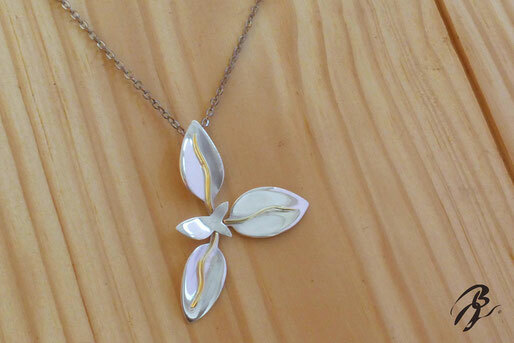 Pendant in silver sterling and gold 14 karat. 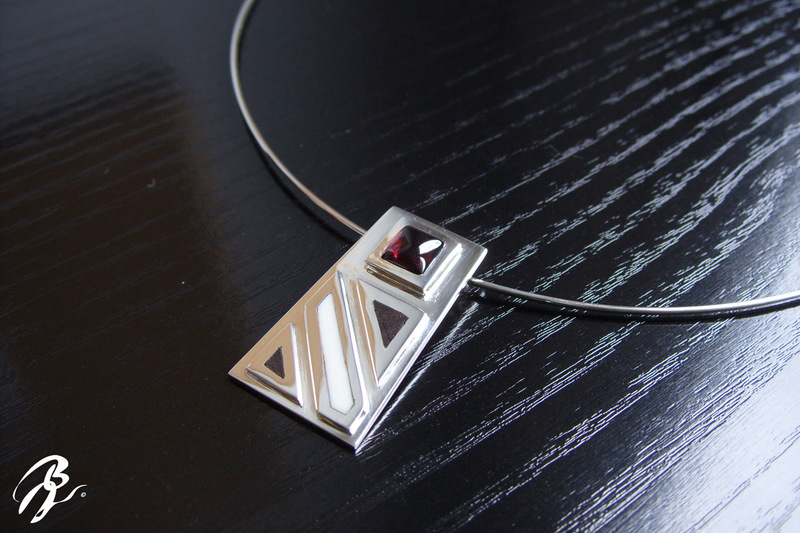 Pendant in silver sterling. 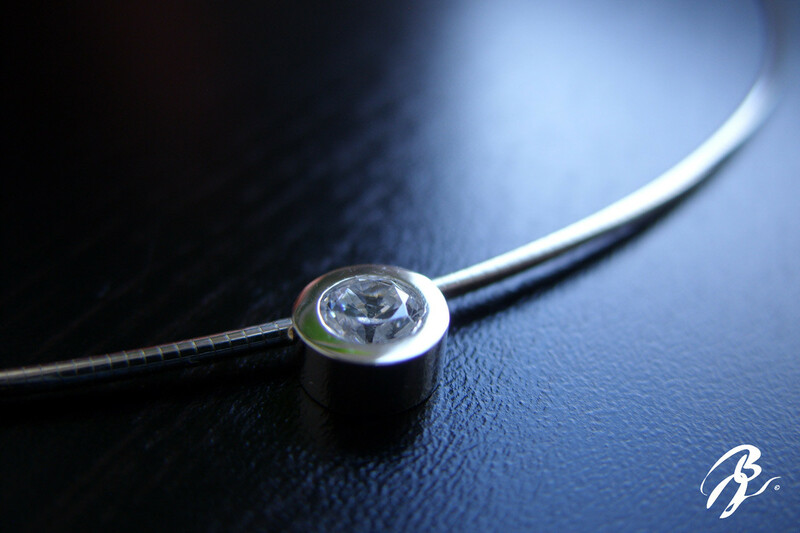 Jewel for exposition.